Pirates Essential to Fernandina's Shrimp Festival | Fernandina Pirates Club, Inc.
Amelia Island is a small, conservative town by most standards, but on Tuesday evenings scores of community members, including business owners, nurses, and retired military men and women, gather to discuss their next plan of attack. These lawyers, chefs, and musicians, wash the gun powder from their britches and mend holes in their clothing made from the previous battle. These acquaintances, also made up of school teachers, landscapers and website designers, are up later than usual shining their boots and polishing their belt buckles as they prepare to wreck chaos on their Victorian, waterfront community… and any one of them could be your neighbor! 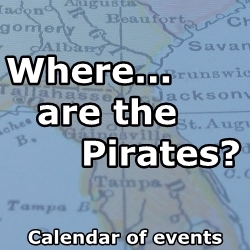 This year marks the 42nd Anniversary of the Fernandina Pirates Club, Inc., a non-profit organization made up entirely of volunteers. 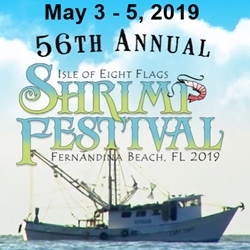 A gnarly band of marauders, these scallywags travel the southeast region of the United States representing historic Fernandina Beach and Nassau County, Florida, while promoting the Isle of Eight Flags Shrimp Festival, always held the first weekend in May. Serving as Goodwill Ambassadors to their entire community, just a few places they have taken their pirate ship parade float this spring include the Nocatee Farmers Market Pirate Invasion, the St. Augustine Easter Parade, the Mardi Gras Parade in St. Marys, Georgia, and to Pirates Night at the Jacksonville Suns home game. One of the club’s annual highlights is to entertain attendees at the Shrimp Festival in their own hometown. The pirates will dance in the streets at this 52nd Annual Isle of Eight Flags Shrimp Festival while waving the Jolly Roger. They will put paper pirate hats, wooden nickels, golden coins, and brightly-colored beaded necklaces in to the hands of delighted children of all ages. During parades all the local kids know to hold their ears, for their cannon is ready to fire, when they hear the warning, “Fire in the hole!” The pirates are the traditional finale to the Shrimp Festival’s Pirate Parade that kicks-off the festivities on Thursday evening, April 30th, at 6:00 PM. On Friday evening, May 1st, while Miss Shrimp Festival is being crowned a crew of pirates lurk about in the dark shadows of the waterfront, preparing for the Invasion of the Pirates held at 9:30 PM, immediately before the fireworks begin. Saturday morning you will see pirates in the Kids Fun Zone, located at Central Park during the 10:00 am Little Pirate contests. They can be found at the waterfront at noon for another Invasion of the Pirates, and they will conduct pirate school during “Learn to be a Pirate” at 3:30 in the afternoon. Pirate School is back in session on Sunday with classes at noon, and at 3:30 pm, both in the Kids Fun Zone. Among the anticipated crowds of over 150,000 people, pirates are scattered throughout. You’ll find them manning their waterfront booth, and you’ll see them marching through the streets. 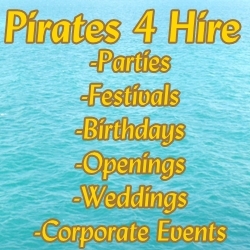 You may see them attending the shuttle buses, or find them reaching for a grog in a local restaurant, but no matter where you see pirates, they will be playfully engaging the crowds with their humorous antics. Originally formed in 1972, the first club members were only men. It was a decade later before women where welcomed into the club. You must be nominated by a member in good standing to join their ranks and the club is limited to 75 Pirates, and an additional 25 Swabbie memberships. The customary elected officers are playfully dubbed “Captain” and “First Mate”, rather than President and Vice President. 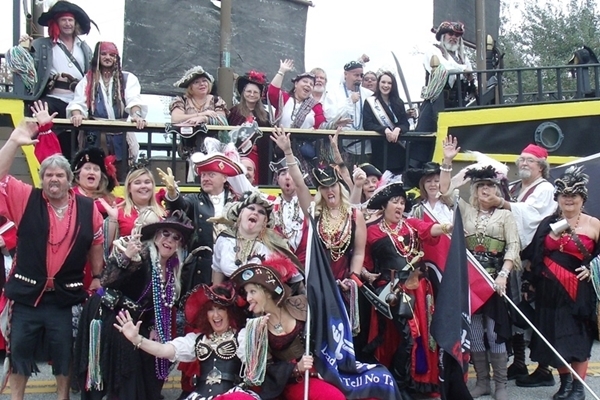 Although this may seem a bit official for a group of costumed scoundrels, members of the Fernandina Pirates Club want you to have a good time when visiting the Isle of Eight Flags Shrimp Festival! As you lock your doors for the evening, if you notice your neighbor’s lights are on later than usual, don’t be surprised if they are counting the loot they pillaged and plundered during the Festival.